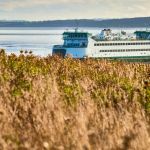 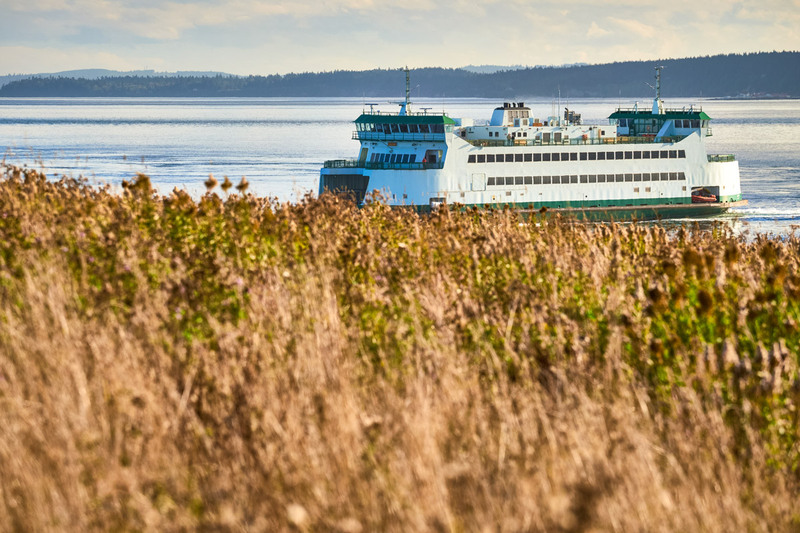 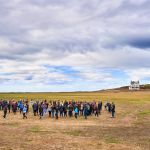 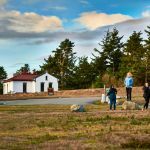 Seattle Paciﬁc owns two island properties: the Blakely Island Field Station in the San Juans and the Camp Casey Conference Center on Whidbey Island. 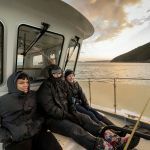 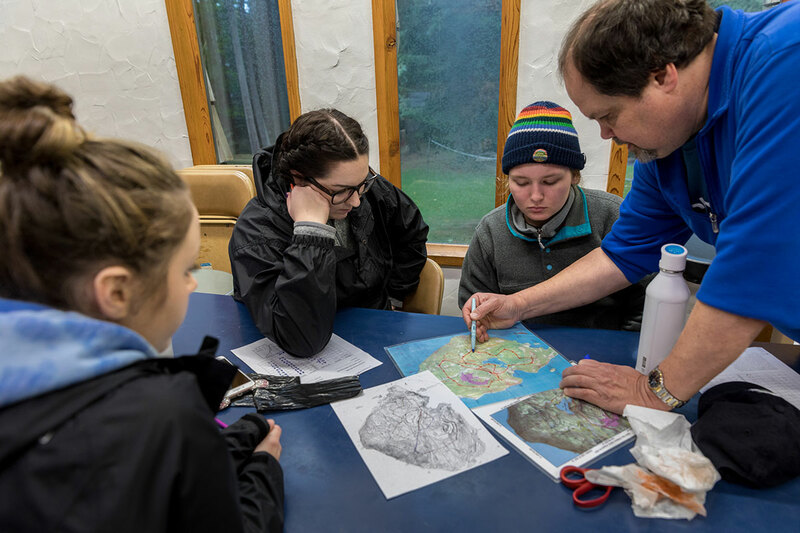 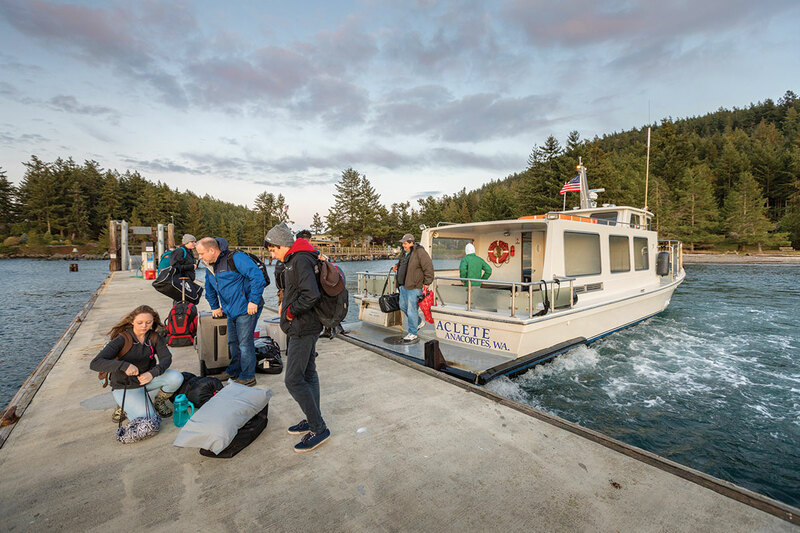 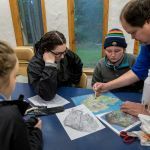 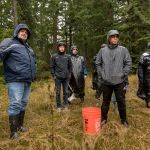 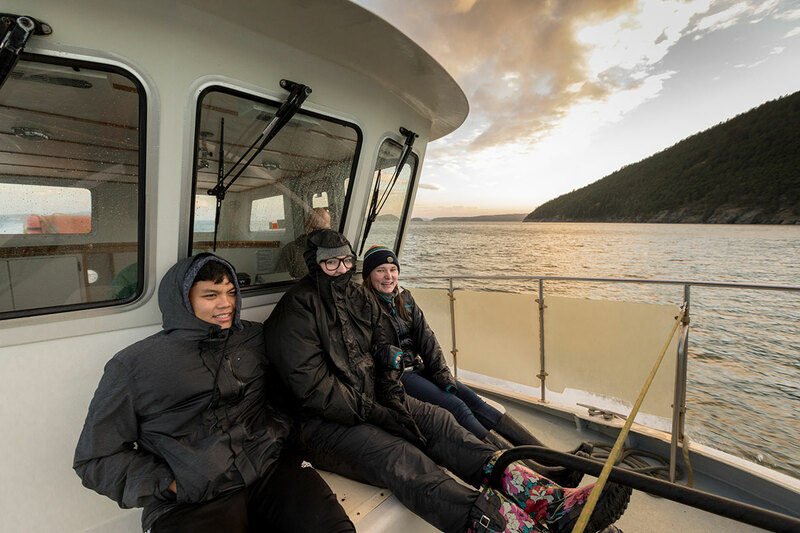 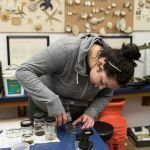 Seattle Pacific students and faculty have ventured to the Blakely Island Field Station in the San Juans since Biology Professor Ross Shaw became the campus’ first director in 1984. 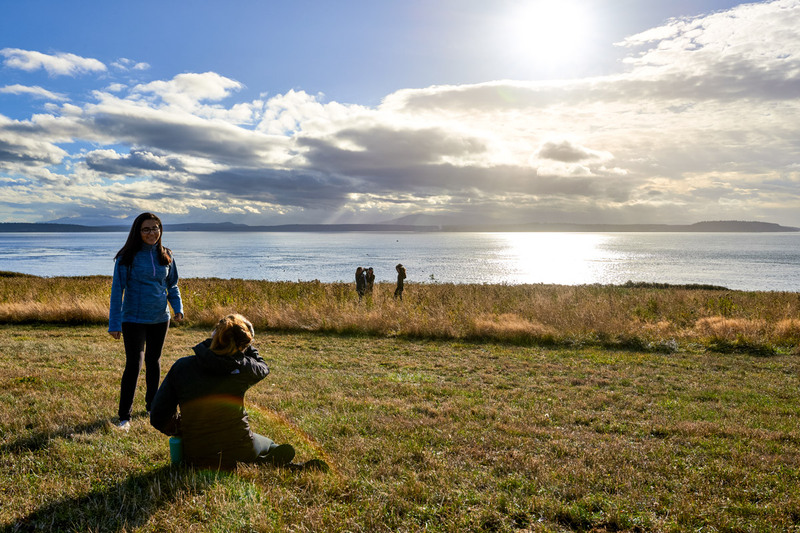 The property has belonged to SPU since 1976, when Thomas Crowley donated 967 acres to the University. 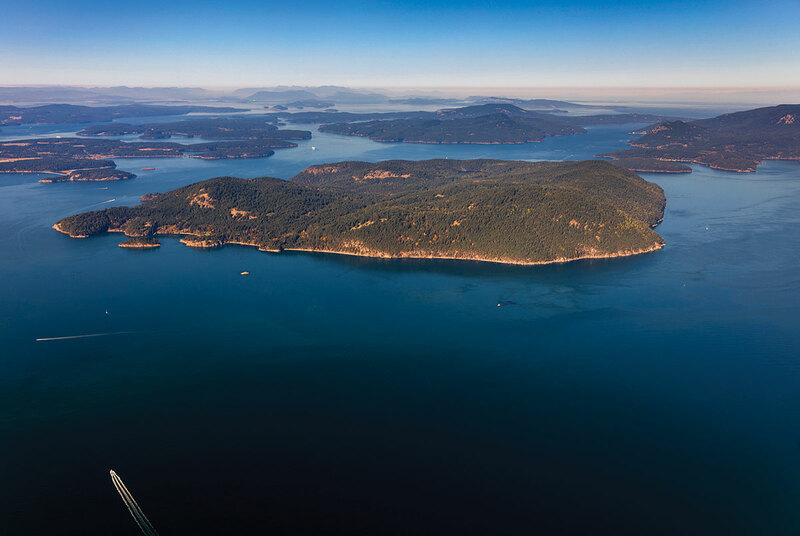 His son, Tom Crowley, now owns much of the land on Blakely Island. 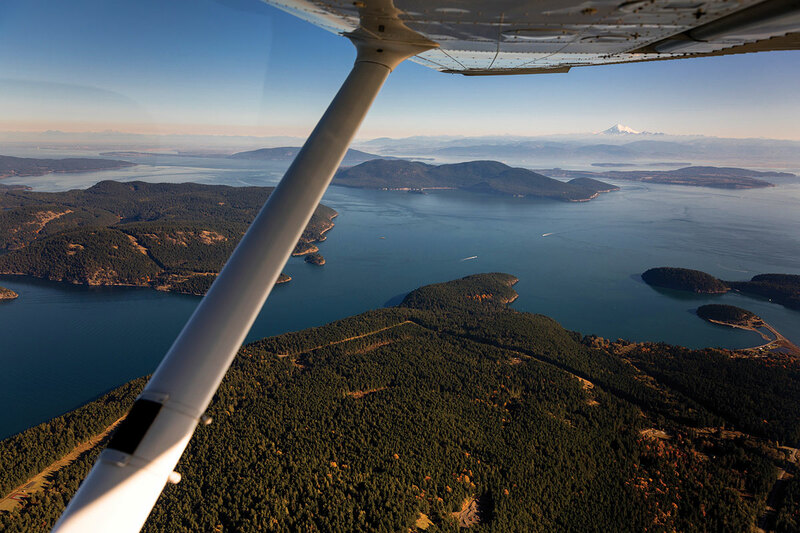 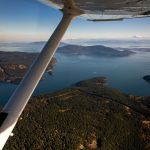 Blakely is one of 172 named islands in the San Juan archipelago north of Washington’s Puget Sound. 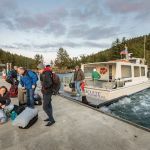 Accessible only by private or charter boat or plane, the island has a population of just 20 residents in the winter and 500 in the summer. 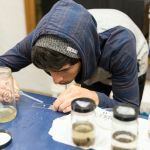 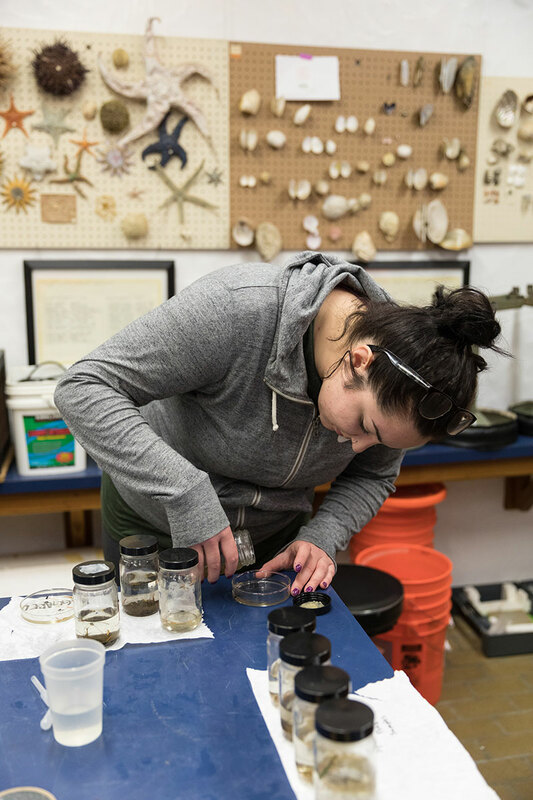 The Blakely Island campus serves as the teaching site for upper-division biology courses in marine, aquatic, and terrestrial ecology, along with oceanography, introductory biology, and astronomy for non-science majors. 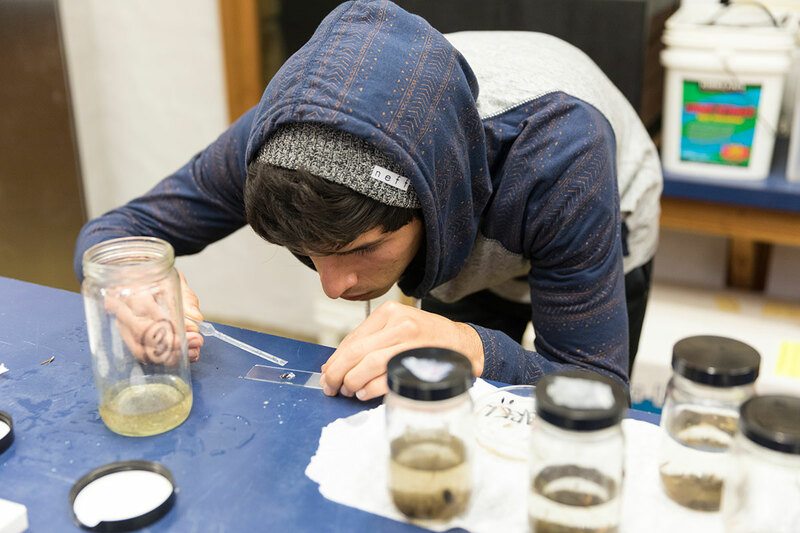 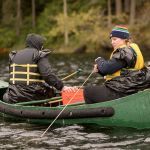 In these photos, students in an upper-division freshwater biology class travel to Blakely for an intensive weekend course in October. 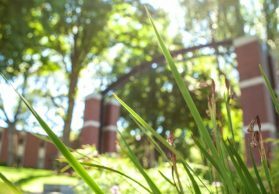 The Thomas B. Crowley laboratory was built in 1984. 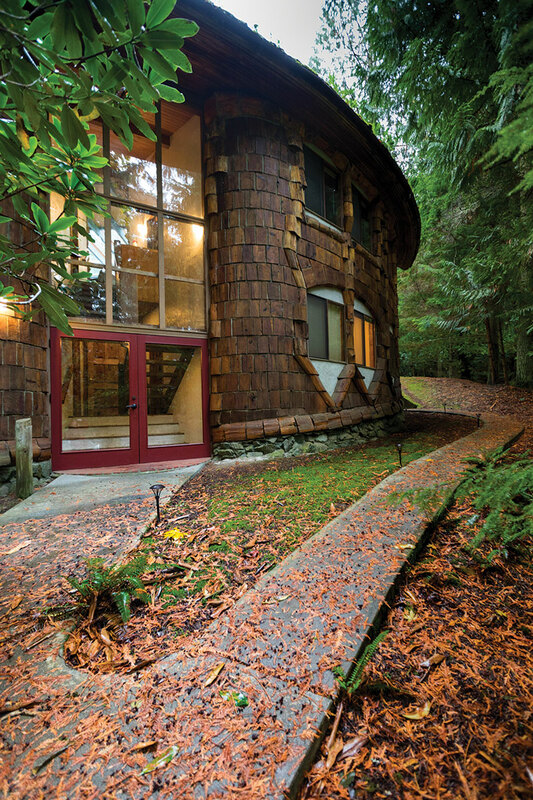 It was designed to blend in with the surrounding wilderness. 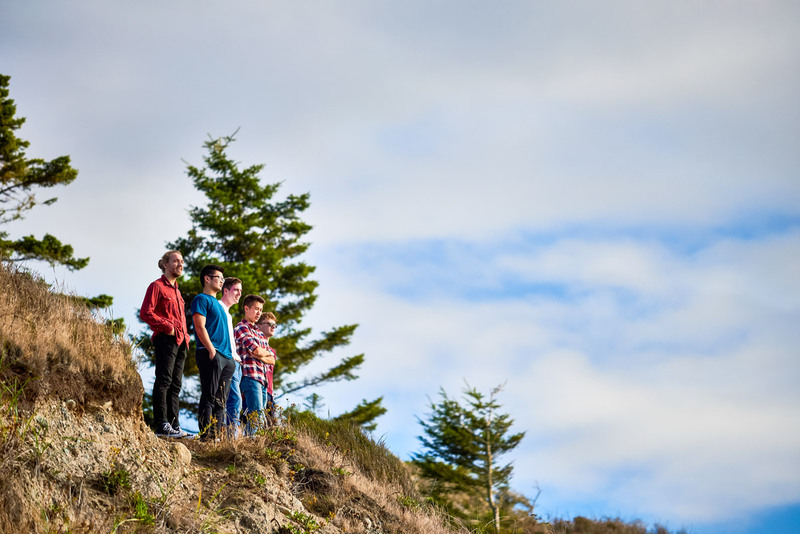 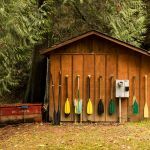 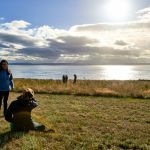 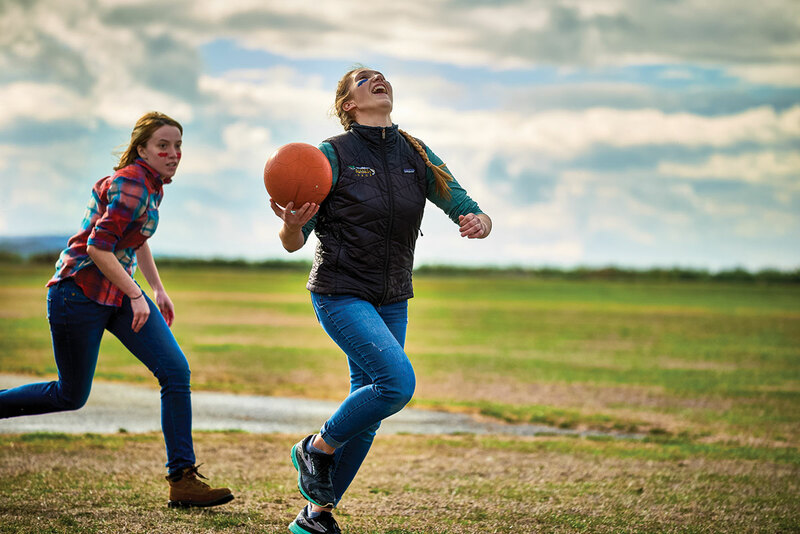 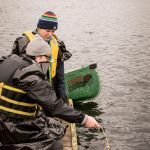 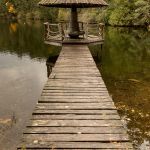 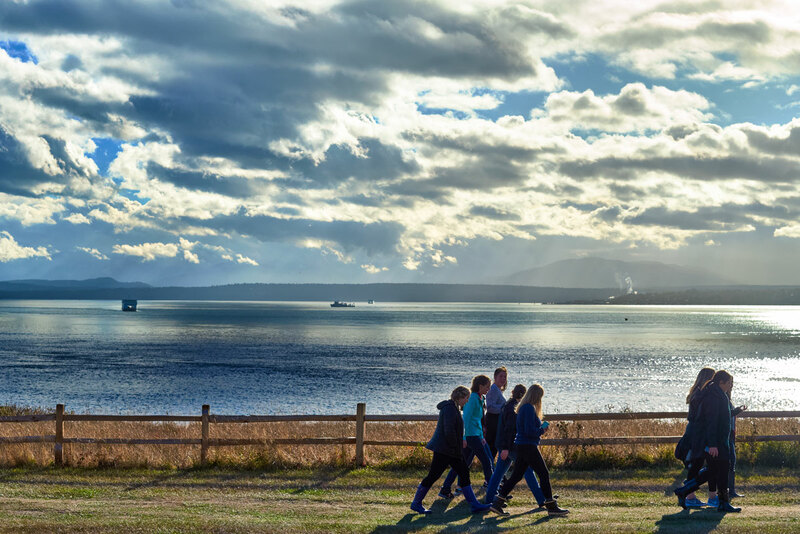 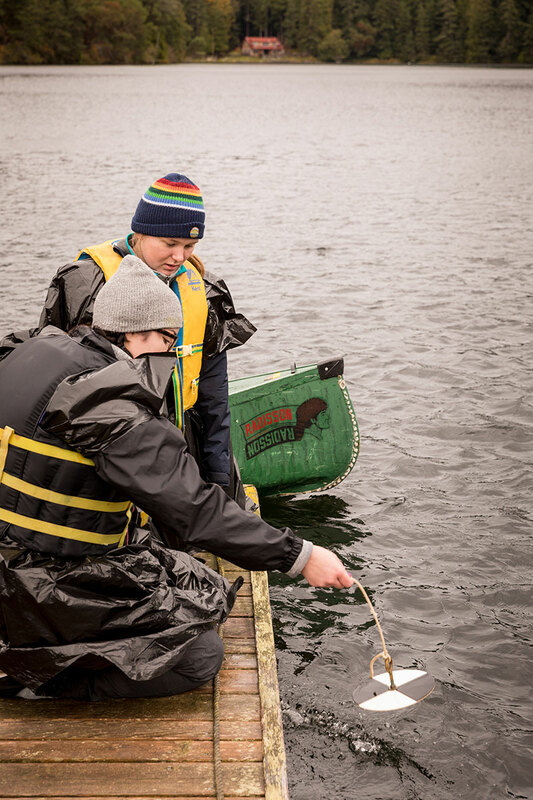 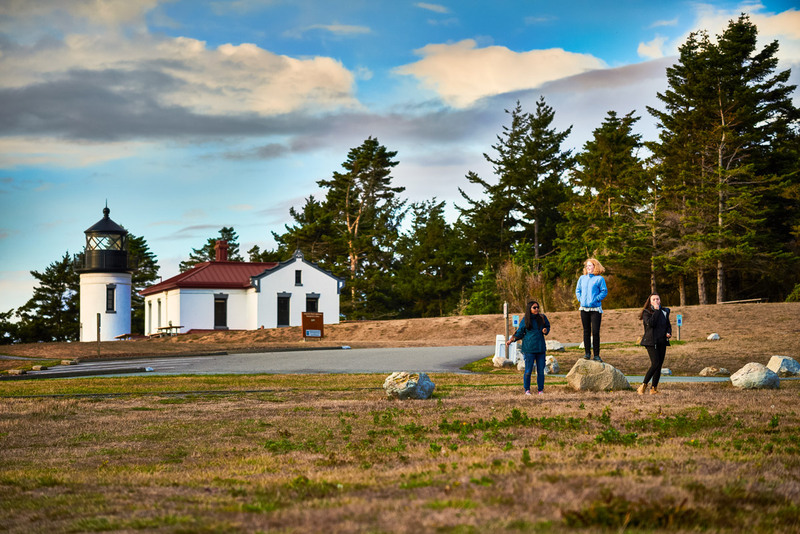 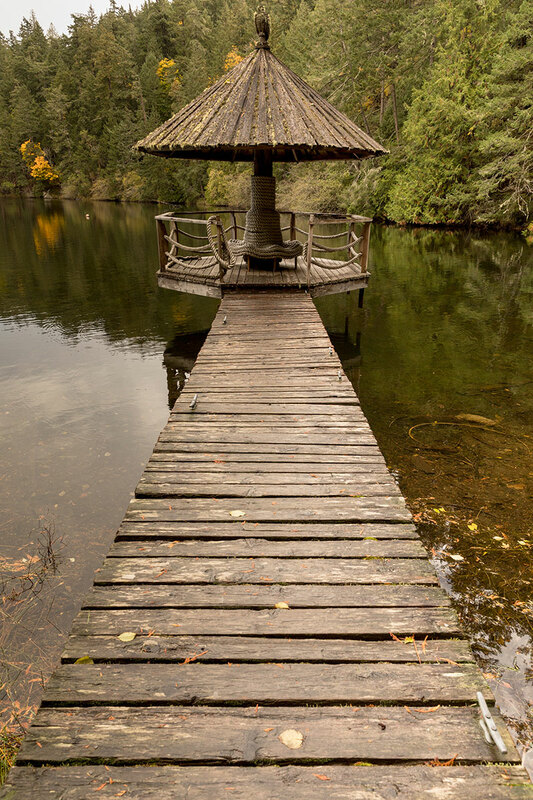 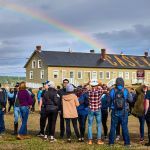 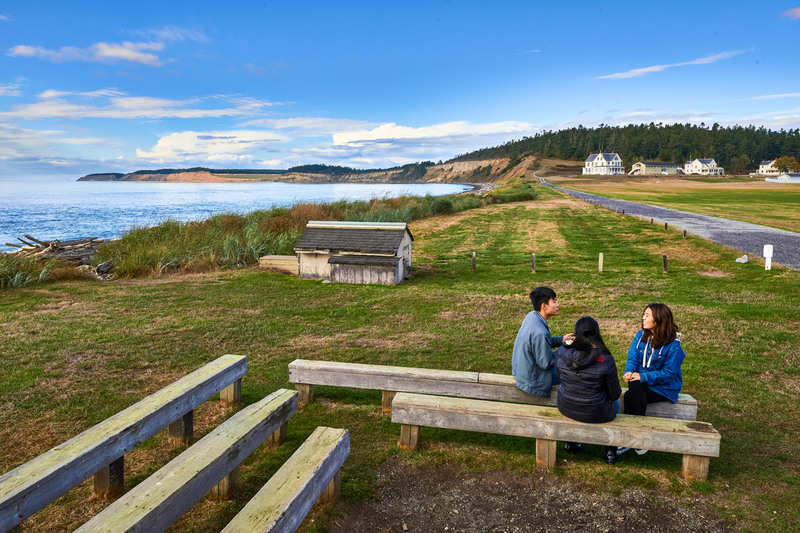 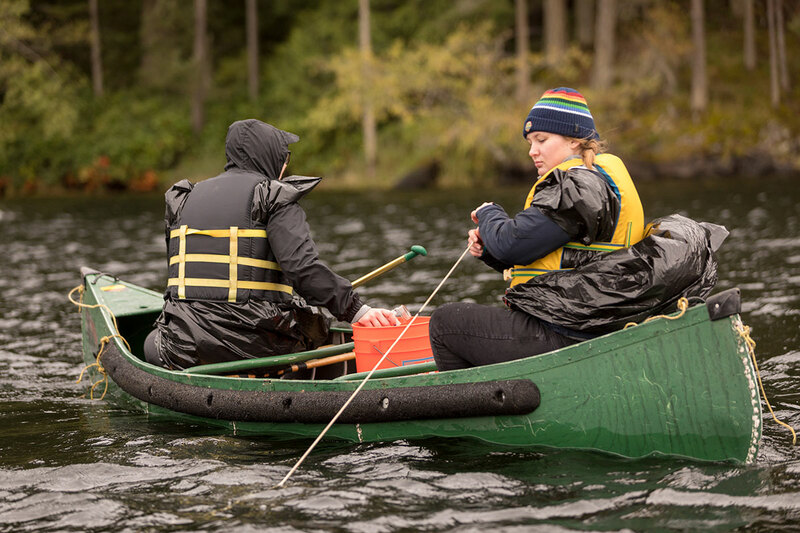 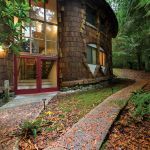 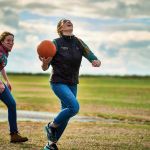 Located on Whidbey Island, 30 miles north of campus and just south of the San Juan Islands, the Camp Casey Retreat and Conference Center is an entry point to the outdoors for many SPU students and other community members. 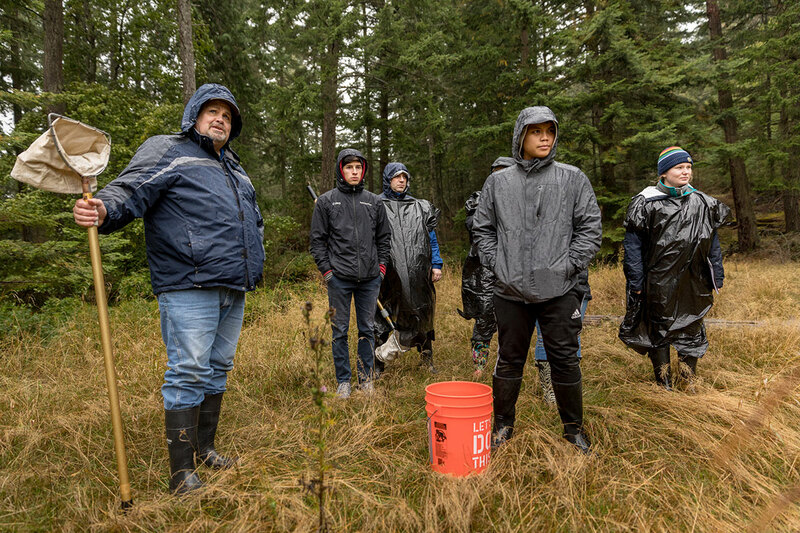 The annual faculty retreat has been hosted at Casey since Seattle Pacific acquired the 87-acre property in 1955. 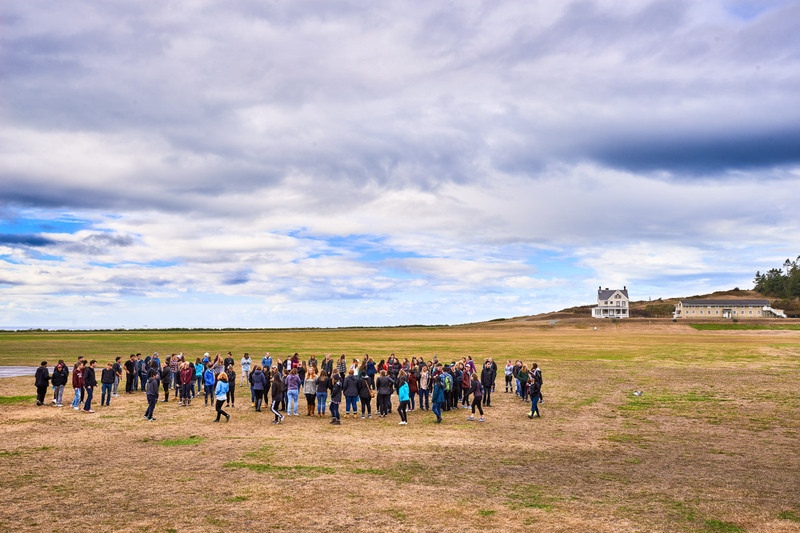 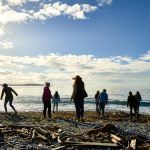 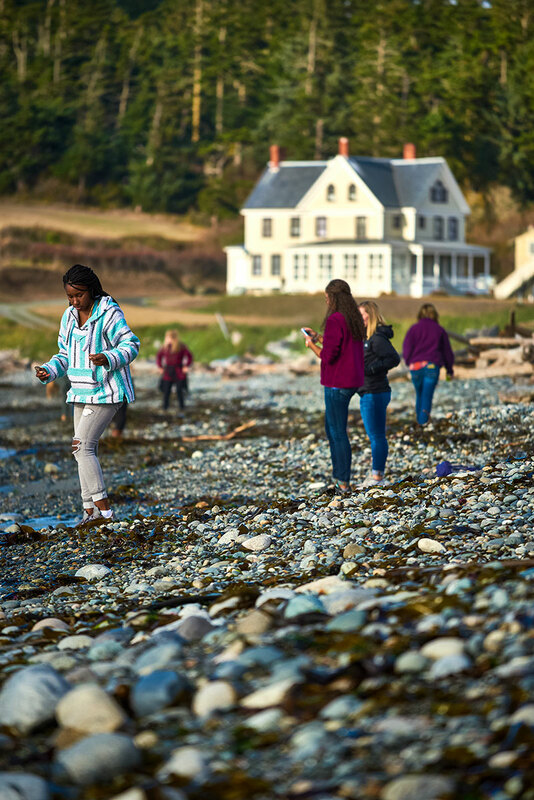 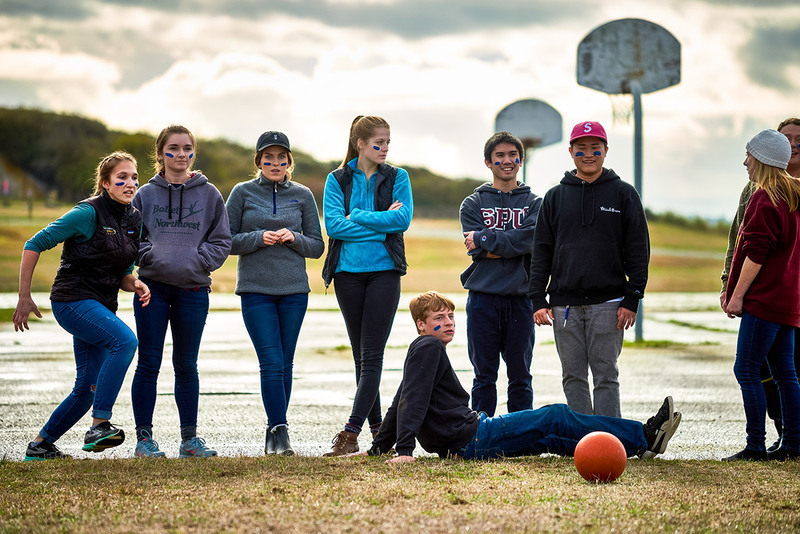 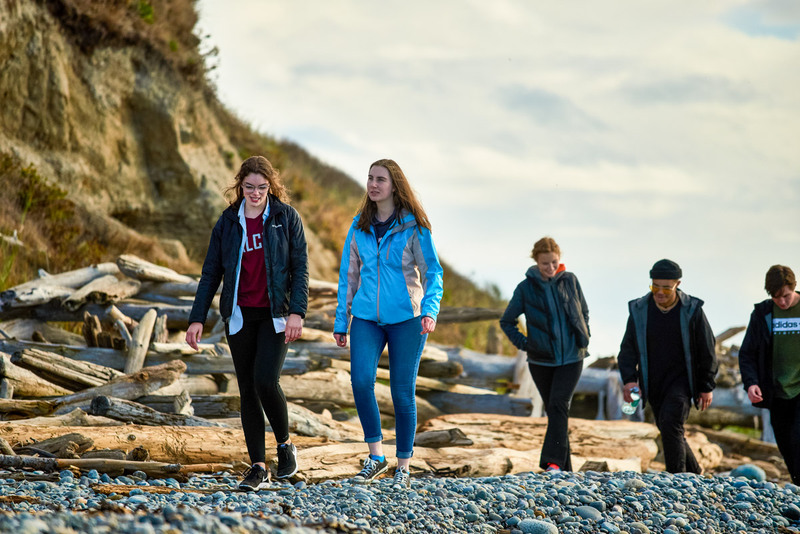 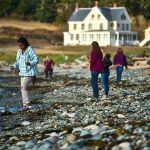 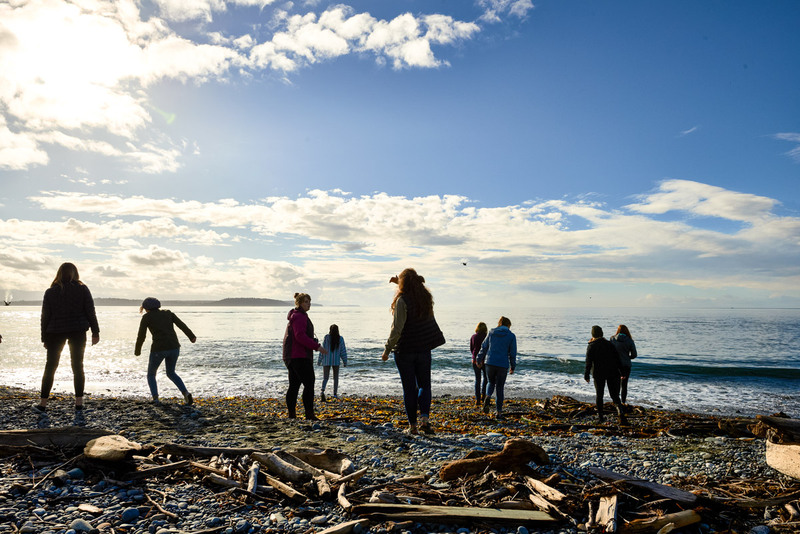 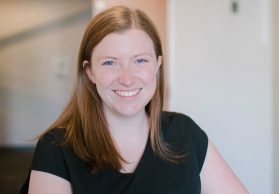 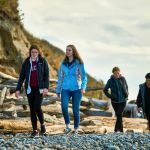 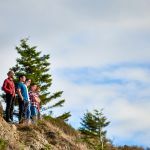 Students and others travel to Casey for retreats, sports camps, tours of the Sea Lab aquarium, beachcombing, boat rides, and walks through the surrounding meadows and the heritage forest, where centuries-old wizened guardian trees protect the coastal old- growth woods. 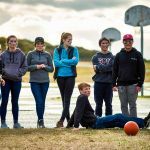 What are your favorite memories from Camp Casey? 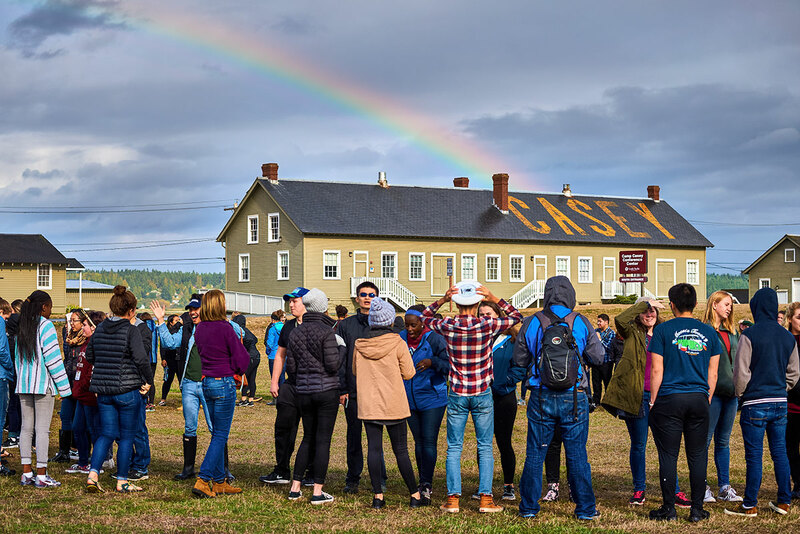 In this issue, we share some highlights of Camp Casey’s history and present. 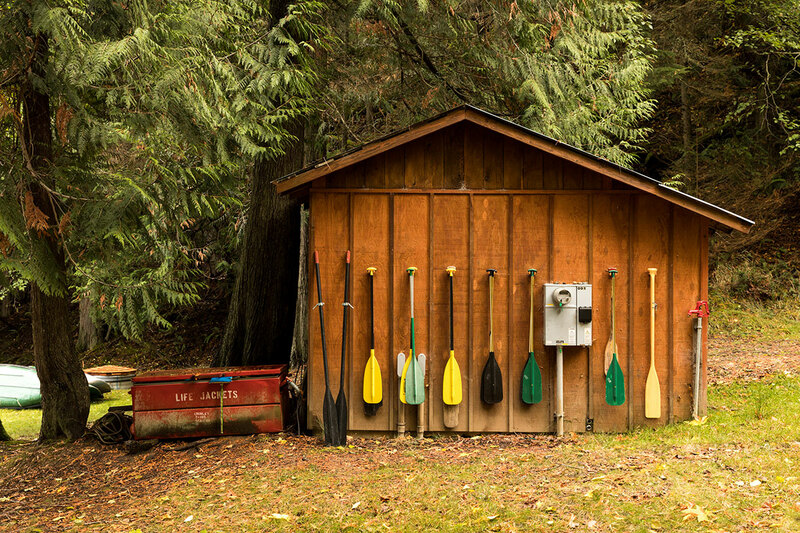 We would love to hear your stories, too. 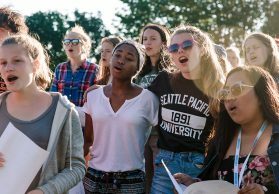 What are your favorite memories from the camp? 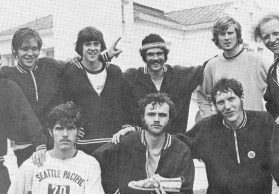 Share them with us on Twitter, Facebook, or Instagram with the hashtag #spucaseymemories, email response@spu.edu, or fill out the form below. 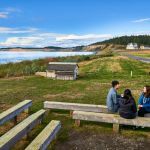 We will enter all submissions into a random drawing for a free weekend stay at the Fort Casey Inn.